Get Your Reggiestrations In Today! As the temperatures remain firmly locked in the triple digits and continue to bake those of us who live, work and worship within the Central Texas Conference, it is hard to think anything related to Fall is close at hand. 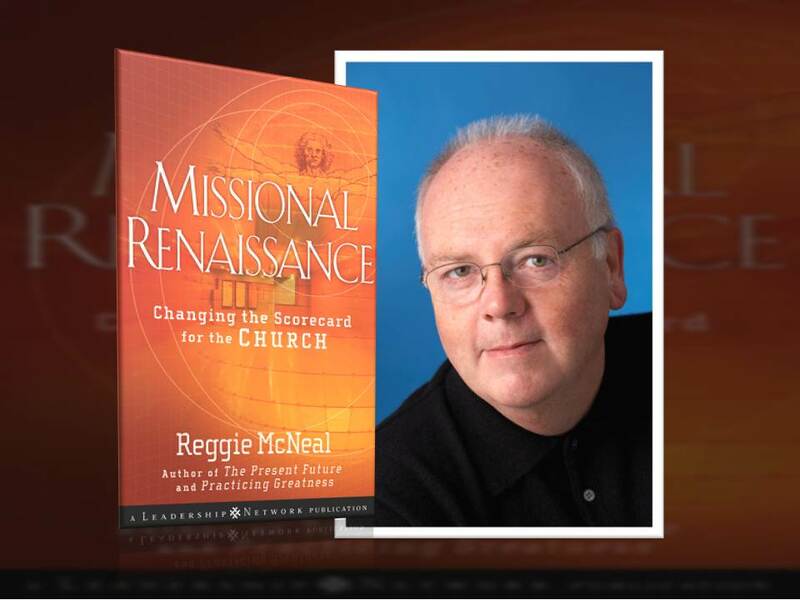 But, if you’ll take a closer look at the calendar, our annual Fall Summit featuring the teachings of Reggie McNeal, a world-renowned authority on shifting the focus of your church into a missional mindset, is but a few short weeks away – Sept. 10 to be exact. This tradition of having the members of the conference come together the first Saturday after Labor Day is a great way to kick off the fall church season and this year’s program promises to be no exception. In fact it has the potential to be one of the best ever with a program centered around shifting the focus of your church (and yourself) from being church-centric to kingdom-centric. So the time is now to secure your place at this event. There are two ways you can register, either by mail or online. 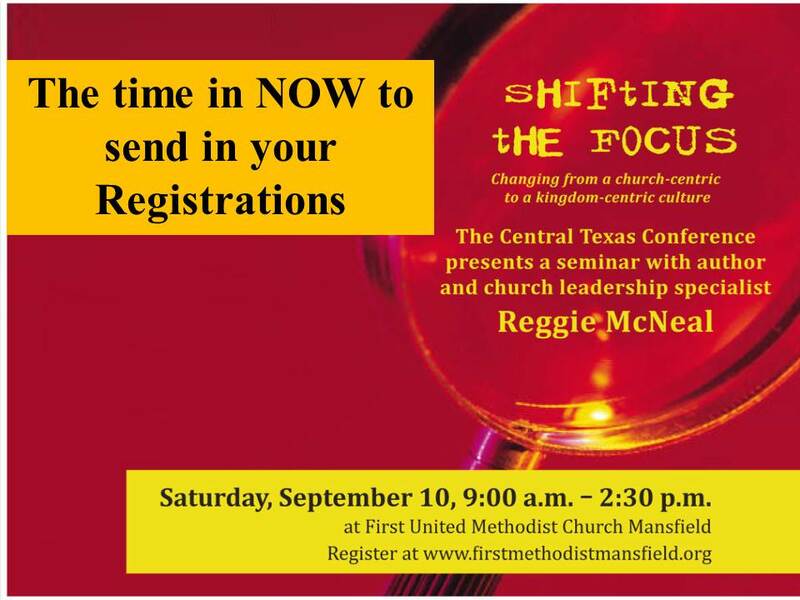 To register online all you have to do is click here or visit firstmethodistmansfield.org and click on the “Special Events” tab on the right hand side of the home page and then follow the prompts. You can also mail in your registration. Just download the resigstration form here and let the U.S. Postal service do the rest. So, what are you waiting for? You have tradition working on you, First Mansfield has plenty of fabulous air-conditioning, the program is going to be out of this world. What else do you need to know before you sign up and join in? Oh, you need to check the football schedule before committing to a Saturday seminar. Well, we’re way ahead of you. Most of the major colleges in the area (Texas A&M, OU, Baylor, Texas Tech, OSU) are off that weekend, and those that are playing only TCU has an afternoon kick-off scheduled (Texas, North Texas, SMU all kick at 6 p.m.), but they are on the road so you’ll be out in plenty of time to catch the majority of the game. Please get those registrations in as soon as possible so that we can ensure ample food, beverage and child care. See you in a few weeks!